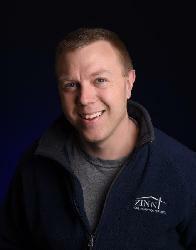 ZINN Inspection Services has been serving home buyers and sellers since 2003. Inspections are our only business, our full time job. We are impartial and work only for you. Our job is to provide you with a comprehensive, fair, independent, and objective evaluation so you can understand and take care of your valuable investment. Owner and inspector Kevan Zinn has been a native of Central Illinois for almost 30 years and graduated at Illinois State University. Kevan also served in the Illinois National Guard for 10 years as a logistical supply sergeant. Kevan received his Home Inspector license after completing his course work at a field Midwest Inspectors Institute. He also subcontracts building permit inspections for local communities. A Master Certified ASHI Member (the American Society of Home Inspectors). This professional organization sets the highest ethical and professional standards in the field. Former president of CICASHI (Central Illinois Chapter of ASHI). Chapters provide local inspectors with quality continuing education, so home buyers get the most experienced professionals possible. Charter member of IHIA (Illinois Home Inspectors Association). This organization lobbies state government on behalf of inspectors and home buyers.